Is there such thing as a large cent minted without denticles? Question: I am a new collector and may have been possibly taken in by fake coins. 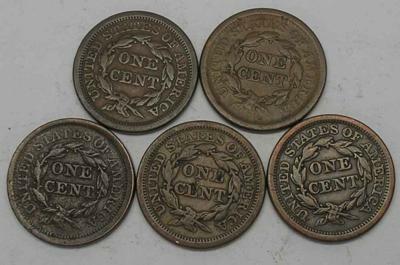 I bought one lot of 5 "large cents" on e-bay. Two of them I have suspicions about because they have fairly strong rims yet no "teeth" along the inside edge. Their condition is what I would grade as at least very good or better with a small amount of surface debris. The toning on the worn surfaces is distinctly rainbow, which looks somewhat odd. Unfortunately these details where not visible in the photos and be came evident only once in hand. I have looked at many photos online and, with the exception of some listings on e-bay, have not seen any large cents without what I now know are called denticles. I assume it's a counterfeit unless there's some really big mint error I'm not aware of. 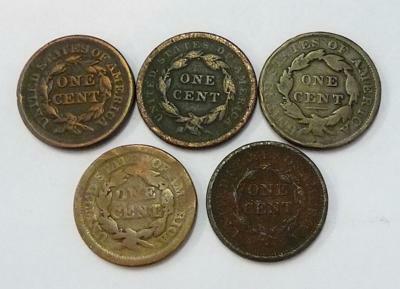 Can you verify if there have been any large cents (1851) minted without denticles? How prevalent are counterfeit coins? Should I contact someone other than e-bay? My Answer: Bryan, I am not an expert in Early American Coppers, therefore I am going to give you some links to some guys who will be better able to answer your questions. 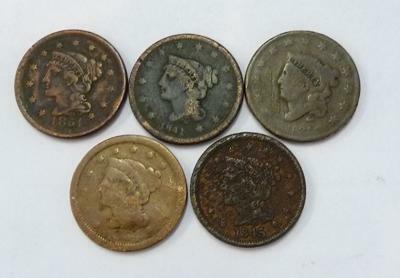 There are so many different varieties of large cents that it would take someone who has devoted a lot of time studying this field of coin collecting to answer your questions. 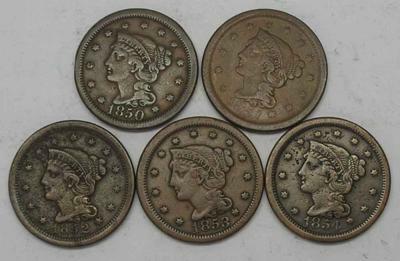 I will say that I do not believe that any 1851 large cents were minted without denticles, nor do I believe that anyone would profit from counterfeiting those particular coins. It is possible that the coins were altered after minting for some unknown reason (believe it or not, people actually do this sometimes). The folks over at Early American Coppers Club would be a great place to find experts in this area. If you look at the 'Directory of Officers' page, you can email those guys by clicking on their name. Or you can go to the 'Links' page and find links to websites that are owned and operated by members of eacs. There are a couple listed there that are specifically about large cents. Just click over to their website and you will find contact information for them.